Are you a GP who loves natural light & a modern facility? We’re seeking a General Practitioner (GP) for a 450sqm purpose-built practice in Brisbane’s inner north. With no other medical centres in the suburb, this practice is in a unique position to attract the patient’s residents who are currently travelling to the next suburb over to a mixed billing practice with an extensive waiting list. A largely industrial area, this practice expects occupational medicine to be a large part of the demographic, with the usual family medicine coming from the residential areas surrounding the suburb. The practice is in a complex with a supermarket & a gym and the building has a 7-star energy rating. This is a massive building with onsite parking and a café across the way with the best salads you’ll ever eat. The centre has been built to include natural lighting since the owners (being in the medical industry) understand the importance of natural light for the health of their team. Offering a guarantee to have you feeling secure in building up a new site, call our team. Queensland is known as the Sunshine State, with its capital – Brisbane – regarded as the River City. The weather here is beautiful one day and superb the next. Lifestyle is guaranteed, with beaches within 30 minutes’ drive and a variety of cultural and culinary delights. You will be in the best vantage point to enjoy these, being so close to the Brisbane CBD and right on the waterfront. 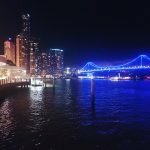 Within a well-loved café district, your lunchtimes will be a delight and weekends offer the opportunity to explore Brisbane, take a short drive to the Gold Coast, the Sunshine Coast or fly to the tropics of North Queensland to see some of the great tourist destinations.